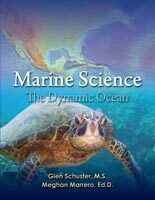 Provide students with a unique way to learn about Marine Science — tracking the paths of animals in the ocean in real-time. 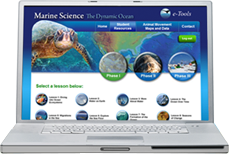 This new, robust, high school course blends Life, Earth, and Physical Science and includes STEM pedagogical strategies that help students understand integrated science content in the context of the ocean – Earth’s greatest resource. Your students will be hooked as they access hundreds of interactive, digital components and Earth images, while exploring exciting content and analyzing cutting-edge data.